This week I should be on holiday. I know what you’re thinking, something along the lines of: you’re a yachting photographer, your life is a holiday, and you’re freelance so you should take holidays when you don’t have work. While it’s true the life of a yachting photographer can have it’s moments, it’s also good to have a break, recharge batteries and reset the creative button. Secondly my wife has a full time job, and she booked this holiday a long time before my voluntary redundancy came about. I won’t be taking a weeks holiday every other month, honest! So if I’m on holiday why am I posting on my blog. One reason, our 17 month old daughter. Before we were due to set off sailing on Saturday I took her in the pushchair to get some last minute things, baby nail scissors, left at home, and a bit of rope and a clip for her newly purchased Baltic child’s safety harness. Both needed for our week away sailing in our boat. Unfortunately after buying the nail scissors my daughter was promptly sick in the middle of the high street, then again in the marina car, and a few more times in the shower block over the next few hours. Holiday postponed I packed up our gear from the boat while my wife looked our poorly daughter. To cut a long story short our daughter was sick in the car and had some sort of seizure and we ended up in Guildford A&E for 4 hours. It’s the times when you’ve reached the bottom of your emotional barrel that some of the most beautiful things in life happen. Sick daughter, who’d had a fit, my wife and I not knowing why or whether it’s the start of something more serious like epilepsy. It had been a long day as we sat in the paediatric waiting room with suspected broken arms and legs, nasty cuts, children being sick and others colouring in pictures. Unimpressed by where she was and wanting food our daughter started to cry. 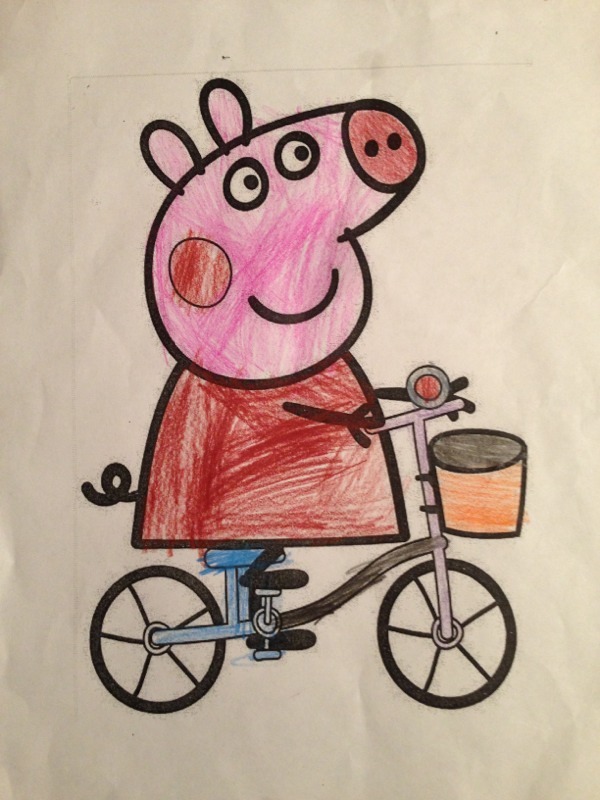 On seeing our daughter crying one of the little girls sitting quietly colouring in her picture of Peppa Pig looked up and smiled. She had a deep cut under her eye, but it hadn’t effected her desire for colouring as she sat there with a pot of pencils. A doctor called out her name and her dad stood her up, but before he could hold her hand she shook him off, grabbed her Peppa Pig picture, ducked through legs, around some new arrivals and popped up in front of us holding out her picture to our crying daughter. Distracted long enough to see the picture our daughter stopped crying. Touched by this selfless act of kindness, I very nearly started.